Welcome Guest Blogger, Aaron Wilson. Aaron is husband to Jennifer, father to 4-year-old twins, and serves as an associate editor in LifeWay Corporate Communications. He enjoys spending time with his family and writing about God’s glory. 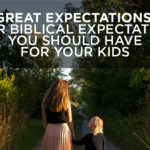 You’ll find other great parenting tips and encouragement in LifeWay’s ParentLife Magazine. CHEER FOR HIS CHILDREN — Fathers breed godly confidence in their kids by being their biggest supporters, not just on the playing field, but wherever God calls young hearts to bring Him glory. ESTABLISH A REPERTOIRE of at least five character voices for story-time. DISCIPLINE IN LOVE — Faithful dads aren’t lazy when it comes to engaging sin in their children’s lives. Dads are prepared to stand up to the real enemy (even when it temporarily makes them out to be the “bad guy” in their children’s eyes). BE WILLING to get his hands dirty (drool, runny noses, diapers … yeah, you get the idea). BECOME A SPIRITUAL INSTRUCTOR — A father doesn’t delegate the principal role of teacher to Sunday School workers or YouTube channels. He takes the lead in forging a spiritual path of knowledge and wisdom for his children. KNOW HIS PLACE — Men who bow low before Jesus are the ones who stand tall as leaders of their families. They kneel in humility when the world says to bask in pride and rise up for their families when the world says to shrug with indifference. MAINTAIN A STRAIGHT FACE when he discovers his bag lunch for the office meeting contains a juice box and cartoon character fruit snacks. MODEL GOD THE FATHER — Dads have the unique privilege and responsibility of reflecting the first person of the Trinity to their kids. Often, a person’s most ingrained perception of God will come from memories of his or her own father. BE ABLE to turn an old cardboard box into a rocket ship or princess castle. CHARACTERIZE LOVE FOR HIS KIDS — Children in today’s culture are hungry to know what real love looks like. 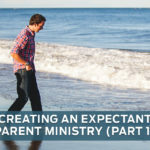 By demonstrating how to put the good of others first, fathers emulate the servant nature of Jesus (and the Biblical meaning of love) to their kids. POST WITH PARENTAL INTENT — Fathers leave a legacy of words for their children when they choose to post on social media. Dads can steward social networking for the good of their kids, who will grow up needing godly examples of how to navigate the digital realm. ASSEMBLE a bike or play kitchen in the living room at 1:00 am on Christmas morning. LOOK BEYOND THE MESS — Dads who have a heavenly perspective look past broken furniture and scratched walls to see the eternal investment found in parenting. CHERISH THE CHURCH — One of the greatest blessings a dad can give his children is to demonstrate a love for Christ’s bride, the church. 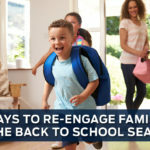 Dads who lead their families to be involved in a local church are at an advantage when it comes to shepherding the home. RELY ON JESUS (NOT A CHECKLIST) FOR STRENGTH — Every dad who reads this list knows he doesn’t measure up (at least, not to the serious entries). That’s actually the point! Christian fathers succeed in life, not because they knock it out of the park as parents, but because they admit they’re sinners who need forgiveness and the enabling grace of Jesus. Biblical manhood doesn’t come from a performance checklist found in a Christian magazine; it comes from confidence in the finished work of Christ. While there are many more things a dad might do, in the words of Jesus, only “one thing is necessary” (Luke 10:42). Take time this month to celebrate the fathers in your life who stand tall for their families by necessarily sitting at the feet of their Savior!